Acquisitions, mergers, restructurings, and divestitures are the new norm for businesses. When entire organizations must be transformed under tight deadlines, how can you ensure your success? Mergers, divestitures, acquisitions, restructurings: the litter of ailed or massively delayed transformation projects makes it abundantly clear that success hinges upon the early inclusion of IT. The business makes strategic decisions, driven by the need for survival and competitive posture. And IT must execute without fail. However, saddled with a heterogeneous technology landscape that is often outdated and riddled with time-wasting customizations, tougher regulatory compliance requirements, and security measures that leave no margin for error, IT all too quickly becomes the focal point of project success (or failure). The SNP transformation platform automates critical transformation tasks, placing a manageable, accurate, and comprehensive view of technology landscapes under the microscope. Complete a transformation in months instead of years; incorporate best practice business processes into each project, combining master data with historical data for efficiency and transparency; and merge multiple steps into a single go-live. 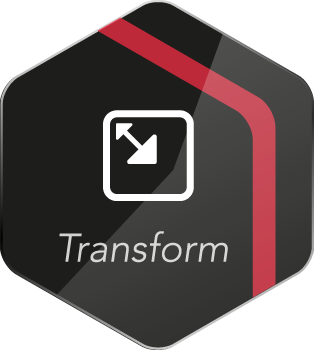 Automate transformations for speed, accuracy, and reliable results. Discover more about the SNP transformation platform, featuring CrystalBridge. 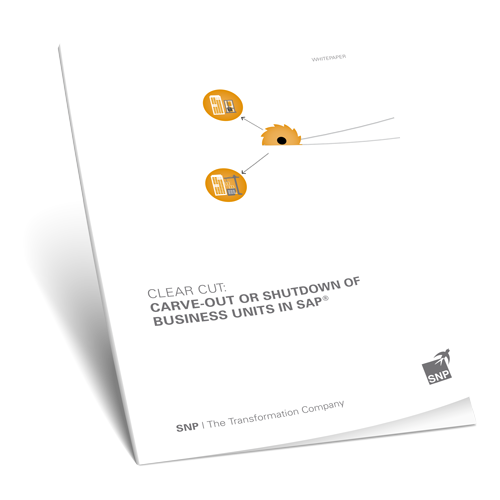 When companies sell off business units, they must separate the data for the divested units from their SAP production landscape. And many sales agreements require the data for the transferring business unit to be handed over in an SAP system. SNP has performed some of the largest, most complex carve-outs in history. Interested? Learn more. 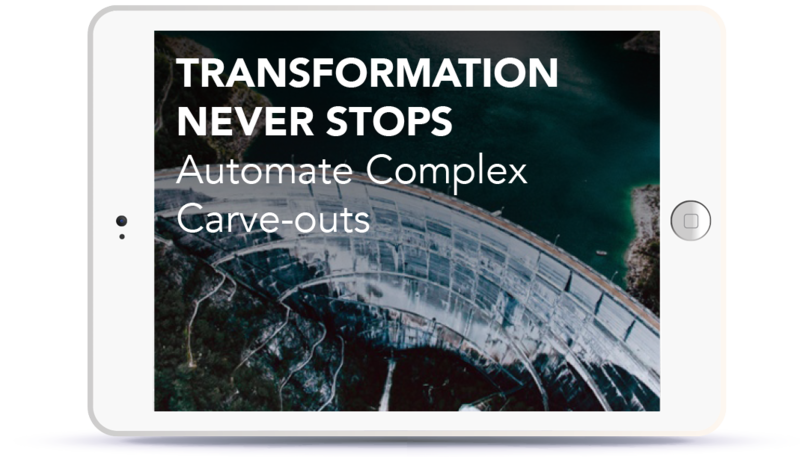 In this webinar you'll discover how to leverage pre-defined transformation content that eliminates man-years of effort and risk in your SAP carve-out project. Yes, the tedious processes of complex carve-outs can be automated for fast, secure results, with the added benefit of automated audit trails.